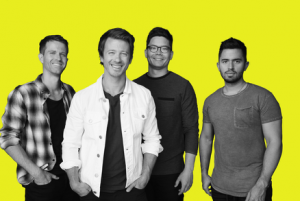 Tenth Avenue North’s single, “Control,” was named Mediabase’s 2018 Christian Song of the Year. Mediabase gives the Song of the Year honor to the song that has the most spins during the year. “Control” spent 10 weeks at No. 1 on Mediabase’s Christian AC chart and six weeks at No. 1 on Mediabase’s Christian Audience chart.